For example, say you are visiting a hospital website and you are looking for information related to their Oncology specialty. You want to know what services are provided, information about the doctors who specialize in this area, directions on how to get there, and you want to contact the hospital specifically about this service. You may be fortunate enough to fall into the hands of a thoughtfully architected user experience and get one page that aggregates all this information. But then you click on staff page and need to sort the staff members by speciality again. You go to get directions and again you need to specify your choice. You send a “Contact Us” form and again you need to select your choice. On the other hand, say that you are a prospective student searching for a university that's right for you. You've specified your interest in the undergraduate Liberal Arts program, and you’re interested in living on campus. Now the website filters all the content to your interests. It shows you the courses, the campuses, the housing, the staff, the activities related to your interests as a matter of priority on every page. It even gives you your own menu related to your interests. Imagine that you were an administrator of a hospital or university website. Wouldn't you want to give your user this experience? In the Spring of 2013, I had the pleasure of working administrators who wanted to give users this superior experience. As an anonymous user, I can select a location of my choice and complete forms on the site that will send requests to representatives of that selected location throughout my visit and filter all of my search results according to my location selection. The technical challenge of this user story was to provide a light-weight contextual experience for the anonymous user without duplicating functionality. 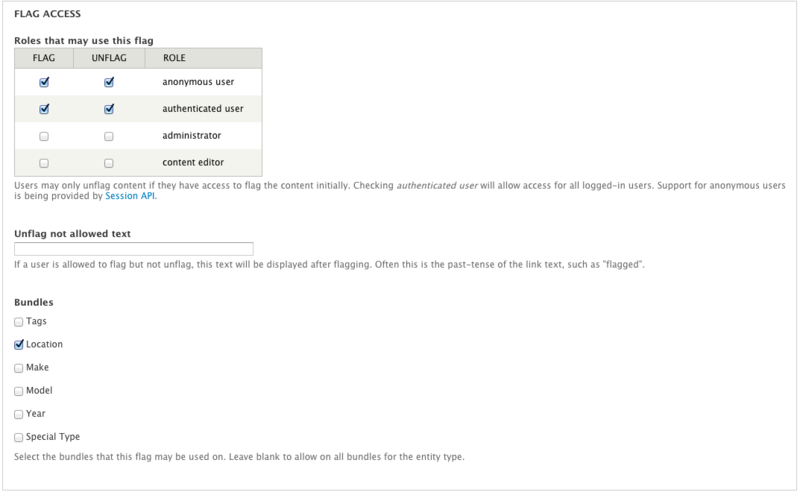 Almost out-of-the-box Drupal can provide such an experience for authenticated users. But to do the same for the anonymous user would take some creativity and stretch Drupal beyond its comfort zone. We ruled out the obvious almost immediately. Sub-domains would not be an adequate solution since the content would not be location-specific but needed merely to be ordered or reacted to based on a selection. Organic Groups was also not a candidate for the same reason. Locations did not need to be a group with a subset of data but a context for ordering and reacting to data. We needed an unobtrusive strategy for reacting to a user's selection that would neither create technical debt via custom code nor off-load the responsibility to a content editor. Sessions API, opening its functionality available to the anonymous user. In its simplest form, Flags allow users to set a boolean value on an entity. A node, a taxonomy, a user, can be set as a thing ("spam", for example, or a "favorite"). Such a selection is what this user story demanded. We needed Drupal to be able to ask "What location has the user selected?" and return that location. If we allowed users to "flag" a location, we could then respond to it throughout their visit. Because of Flag's integration with Views, Drupal could use the location selection to sort the search results without requiring the user to set this search parameter with every filter. Moreover, since Rules could take a flag as an argument, Entity Form submissions could be processed by first checking the location they had selected, then fetching the corresponding representatives from that location and sending the submission to the appropriate individuals. Flag was never intended to be leveraged in this way. It is a tool originally intended to help moderators allowing users to "flag" comments, content, or users as abusive. Soon implementations extended to provide users a means to select and order content. Our implementation necessitated that users only flagged one entity at any given time. The flag was mostly a function on the backend: something that the user would not necessarily be conscious that they were doing. Implementing Flag as a solution to this particular use case was treading into new territory. Despite the unforeseeable challenges, the possibilities to extend the anonymous user experience had applications far beyond this project alone and was therefore worth pursuing. Step One: Install Flag, Rules, Views, Session API, and Entityforms. Step Two: Create a Location Vocabulary. Add values to set the contact information and other recipient data to each location. Add each location as a Location term. We wanted to import the location information with every build so we added a feed for this taxonomy so that the data was easily editable by the client. Just your basic site-building here. Step Three: Create the Flag on the Location Vocabulary. As the Flag module configuration helpfully reminds us, the Session API is needed so that we can make this flag available to the anonymous user, as we are want to do. Step Four: Create a Rule so that only one location can be selected at a time. We do not want users to be able to choose multiple locations. If the user selects one location and then selected another, the first selection must be unflagged first otherwise both locations would be notified of a submission and the search sort could reflect a prior choice rather than the current preference. This Rule fires in the event that a user flags a location. It loops through the current list of flags on the user and unflags them first before flagging the just-selected flag. Step Five: Add the Flag as a relationship to the view and sort by it. Step Six: Create a jump menu of the flags. *In order to use the flag on a term as a link, Flag needed to be patched. See "Credits" below. Step Seven: Get location from Rule. Having fetched the location, we can get the value of any field from the entity and send a email to that value. 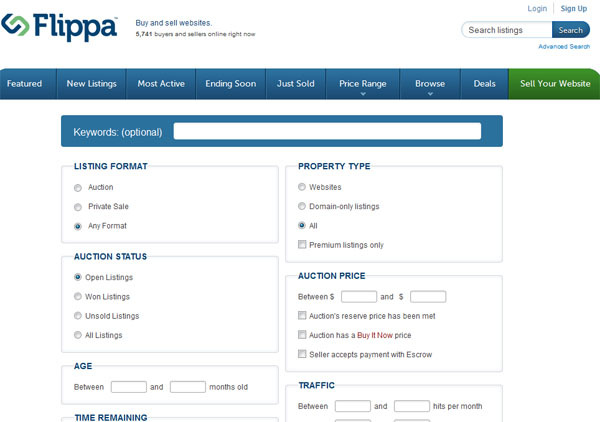 With the User Story reliably in place, the site launched. Khi bạn bắt đầu làm một trang web để kiếm tiền từ Google Adsense, bạn thường quan tâm rằng không biết sau những tháng ngày SEO từ khóa lên hạng 1 rồi, trang web có được lượng visit như mong muốn không. 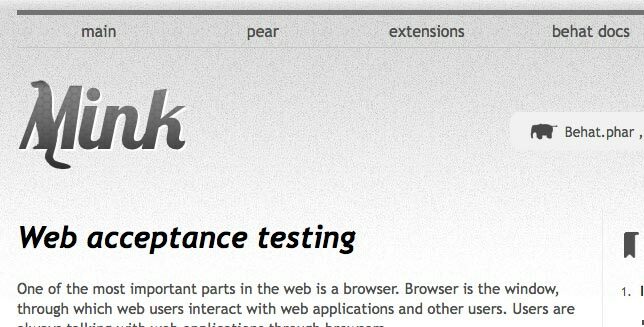 In this post, I'll be taking a look at the Mink layer behind Behat and using it for web scraping and functional testing and what this means for the future of Drupal testing.